The Enviro World 55 gal. 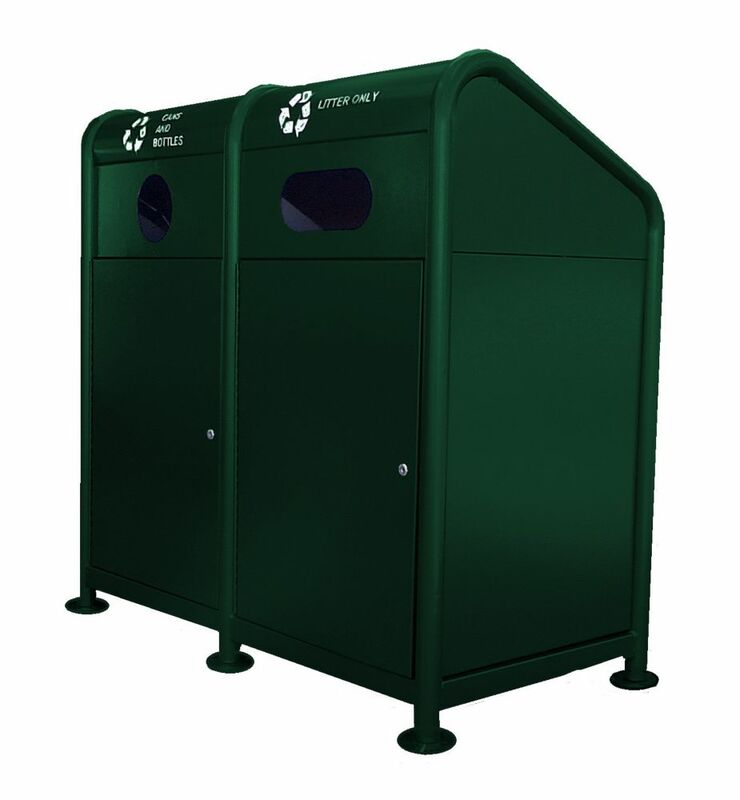 Recycling Bins Green combine toughness and economy in a large capacity unit.. Sleek flat back square design fits naturally in any location, High quality injection molded easy to keep clean and look new year after year. The Enviro World 55 gal Bin is focused, for two reasons: it allows the unit to hold a large capacity in a small footprint, and the units can be stacked together for transport or storage. 68 Gal. Steel Recycling Station in Green The BRUIN Series Storage Container/Trash Receptacle is easily strong enough to keep out smaller critters like raccoons, squirrels, rats and smaller Black Bears. To meet the requirements of being a Certified Bear Resistant bin, you will need to install the included Bear Guard brackets, which prevent bears from being able to grab the lids and potentially bend them. With these brackets the BRUIN is able to stand up to all Black and mid-sized (up to 600 lbs.) Grizzly Bears.